Investors appear to shrug off Brexit fears as British firms see greater success than ever. VC investment into the British fintech sector hit a record high in 2017, despite the overall fear regarding Brexit, a new report has found. 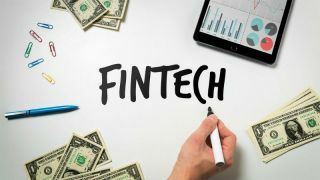 According to figures from Innovate Finance, a total of £1.8 billion of cash was put into fintech start-ups in the UK, representing a jump of 150 per cent, compared to the year before. Looking at our main competitors, the US and China, the UK has seen a bigger increase than either one of them. The US has seen an increase of 21 per cent (totalling $7bn), while China is seeing a fall of investments of 80 per cent. The large discrepancy in the far east has contributed to the global fall in fintech investment of 18 per cent. Two UK companies made it to the list of the top 20 global deals – Oaknorth and Transferwise. "There is no doubt that London’s position as a leading financial and technology centre is driven by the UK’s focus on policy and talent, allowing us to attract the entrepreneurs and investors that are bringing real, positive change to the world of fintech," said Innovate Finance chief executive Charlotte Crosswell. Analysts feared that the UK’s breakup with the EU, following Brexit, will severely hurt investments in the company’s tech sector, as well as make it harder for foreign experts to come to the country to work. It was being said that other tech centres, like Berlin or Paris, would benefit from Brexit most.